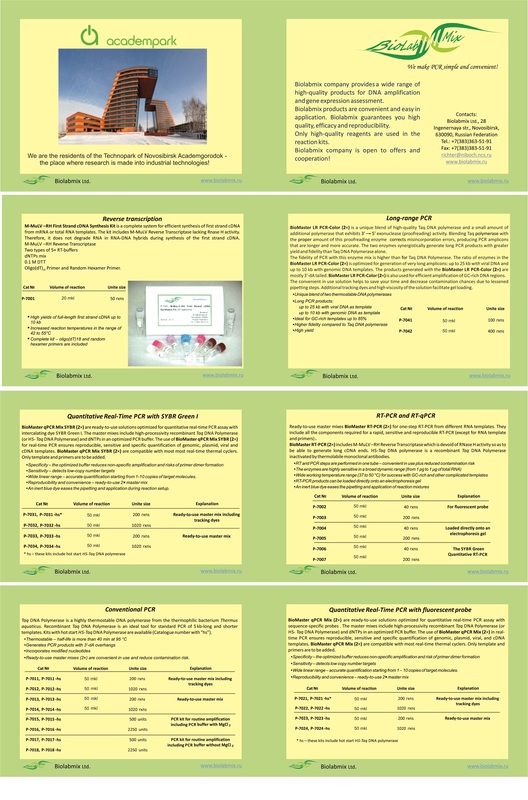 Visit our site, try our new MasterMixes for PCR! Immunobiological reagents (Monoclonal antibodies, Biotinilyted antibodies, HRP conjugates, immunosorbents et al). Our highly purified dNTPs allow for synthesis of DNA PCR-products up to 20 kb long, Real-Time PCR and other applications. We purchase our high quality products all over the world. We provide free samples of our products. 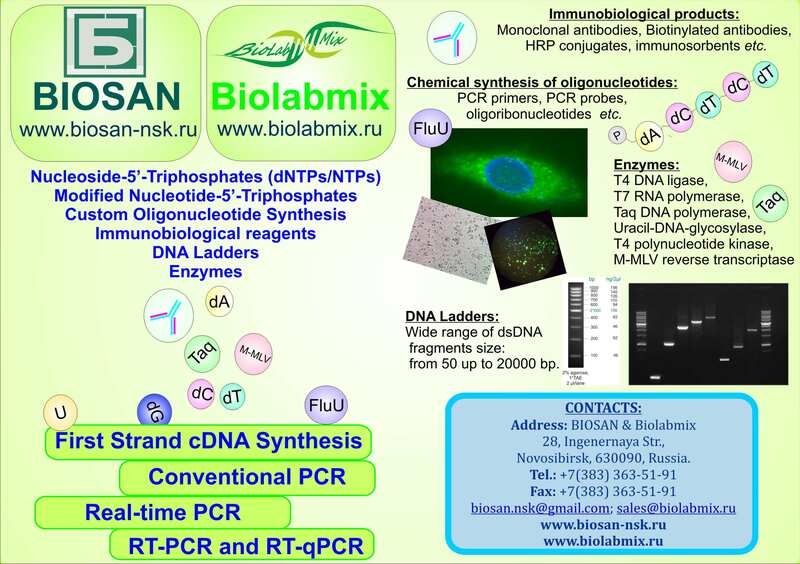 You can buy our products in companies Solis BioDyne (Estonia), SibGene (USA), ChemBion (Czech Republic), GeneOn (Germany), Yorkshire Bioscience (UK), Experteam (Italy).